Windees are leaving dogs around the world breathless! 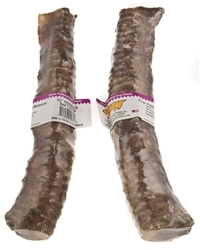 They are made of USA all-natural beef trachea or windpipe. Windees are oven baked with no artificial ingredients and are a natural source of chondroitin and glucosamine.